After his official signing to Strange Music, Jay Rock hit the ground running in the independent game with several tours and the release of his debut album, Follow Me Home. In this exclusive clip from MTV2’s Sucker Free, Jay Rock speaks to DJ Envy about his relationship with Tech N9ne and what he has learned from working with the Kansas City King. Praising Tech’s work ethic, Jay Rock explained the motivation that he finds in himself from watching Tech’s endless process. Touching on the West Coast, Jay Rock also spoke on his labelmate Kendrick Lamar and the massive success he has achieved in recent years. As 2012 lines up for Strange Music, Jay Rock positions himself for another year of true grind. What did you think of Jay Rock’s comments on Tech N9ne? 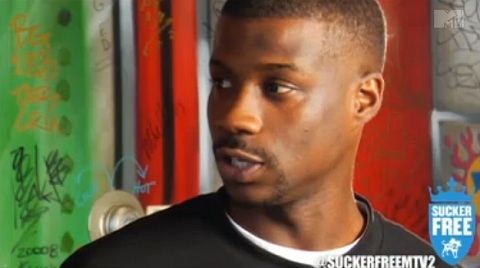 Are you excited for more from Jay Rock?